He may have started racing first, but he was overshadowed by his younger brother Emerson. He followed Emerson to Europe, but his foray was not successful and he did not return there until 1970 to race in Formula Three. 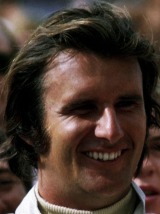 Formula Two followed in 1971 and Wilson reached Formula One in 1972 with Brabham. Two seasons yielded two points-scoring drives, and he lost third place in the 1973 Monaco Grand Prix when his car failed to pick up its fuel. And so Wilson quit Formula One in 1974. He was back a year later, though, with his own Brazilian-built car. It was not a success and he retired to run the team for the next five years.